Grief comes in many forms. It provides untold challenges for the people - especially as people walk through the emotions, which impact the grieving heart. Cecil Murphey and Liz Allison know firsthand the ups and downs of personal grief. Murphey drew from experiences surrounding the deaths of his father and son-in-law, while Allison’s reflections focus on things that happened in her life following the death of her husband, NASCAR driver Davey Allison . 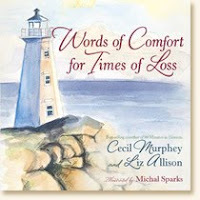 Together the pair used their experiences to create a new resource – Words of Comfort In Times of Loss, which is designed as an easy to read , easy to read book that touches upon the emotions of those who hurt, as well as offer solace. “I I wanted to give readers a male and a female perspective on loss,” Murphey said. “I wanted Words of Comfort for Times of Loss to offer compassion and understanding. I didn't want to throw out a lot of advice (which they probably know anyway). In fact, Murphey said, this is the type of book he would have wanted to have, as he dealt with issues surrounding his son-in-law’s death. "I had to do a lot of internal processing over the death of my son-in-law," Murphey explained. "That brought back painful memories of the loss of my dad because we never had a warm or healthy relationship." Murphey and Allison’s words are accompanied by watercolor illustrations created by Michal Sparks. This is the second time Murphey has collaborated with Sparks. After she completed the artwork for “When Someone You Love Has Cancer,” Murphey told his editor that Sparks’ soft watercolors “captured the pathos” of his prose. Though small – approximately 6,000 words – Murphey said the book breaks down several issues many people face, in its 12 brief chapters - including suggestions on how to move through grief at a personal pace and how to handle holidays after the death of a loved one. “I struggled over what I could leave out,” Murphey said. “As I prayed and thought about my own grief, those were the issues I had to focus on when I was heartbroken. Murphey said with each book he works to create, he tries to “move deeper” inside himself. Murphey is nearly finished with “Knowing God, Knowing Myself,” a book of aphorisms (short, pithy sayings), compiled from more than 400 he has written throughout the years. “When an editor at Regal Books heard about them, he asked me to share some of them in a book. I plan to use and explain about 70,” Murphey explained. Murphey also created a website to help writers improve their craft. He recently started a blog where he shares information about writing – Cec Murphey's Writer to Writer - http://cecmurpheyswritertowriter.blogspot.com. I jumped at the chance to review this book - and do the interview with at least one of the authors - because I hoped it would be a good resource that I could use for those going through a "time of loss." Working within a children's ministry, often the "loss" revolves around either a grandparent (ok, sometimes a pet). I hoped this would be a book I could pass to parents within my ministry. This book definitely met and exceeded expectations. Simple, direct and to the point, it walks through several subjects faced by people dealing with grief. Using examples from their own lives, Allison and Murphey help readers find practical and easy ways to deal with their emotions, feelings and well, even the things well-meaning people may say. The illustrations, created by Sparks are beautiful. The soft pastels work in tandem with the words to create a resource that is not only practical, but comforting. This book will definitely go on my parenting resource bookshelf. It would definitely be worth purchasing several in bulk and passing them to a family dealing with a death. Simple in nature, the message is quite powerful and timely. Liz Allison was married to NASCAR driver Davey Allison until his tragic death in 1993. Widowed at 28 with two young children to raise, Allison faced the long journey of pain, loss, and grief with great faith. Committed to encouraging others, she returned to her work in TV reporting, has published eight books, and hosts a weekly radio show. 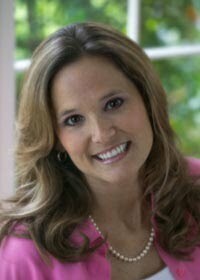 Learn more about Allison by visiting: www.lizallison.com. Cecil Murphey is an international speaker and bestselling author who has written more than 100 books, including New York Times bestseller 90 Minutes in Heaven (with Don Piper). No stranger himself to loss and grief, Murphy has served as a pastor and hospital chaplain for many years, and through his ministry and books he has brought hope and encouragement to countless people around the world. Read more about Murphy at www.cecilmurphey.com. Michal Sparks’ artwork can be found throughout the home-furnishings industry in textiles, gift items, dinnerware, and more. She is the artist of the Emilie Marie books for girls as well as Simple Joys, Beautiful Home on a Budget, My Very First Tea Party, and My Very First Book of Manners. She and her family live in New Jersey.